Wondering where we've been? There seems to be a zoning problem where our greenhouses are located. Technically we can't sell retail and we've been offically notified. We appreciate those of you who have kept in touch. If you have made the effort to come and see us on Saturdays and we haven't been here, we sincerely apologize. We understand your frustration. We're opening our greenhouses the first Saturday of every month. Due to the 4th of July holiday, this month will be Saturday, July 12th. 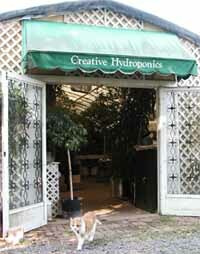 Stop in and stock up on hydro supplies. We have some excellent plants too! To help get you going bring in our Saturday coupon and save $$$ (helps pay for the gas!). 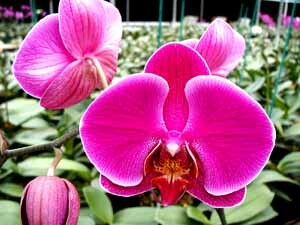 Now is a great time to transfer Phalaenopsis to Hydroponics. In most cases, their blooming season is over and new growth is beginning. Give them a new home in one of our hydoponic systems and you'll be rewarded with some great flowers next winter.